Malachite is a copper carbonate mineral that forms in unusually swirling patterns. This specimen is extremely rare to see in crystallized form, but when it is, Malachite has long needle-like looking stalactites. This mineral was first reported in 1747 and was named by J.G. Wallerius after the Greek word “malache”(mallow), after its green color. 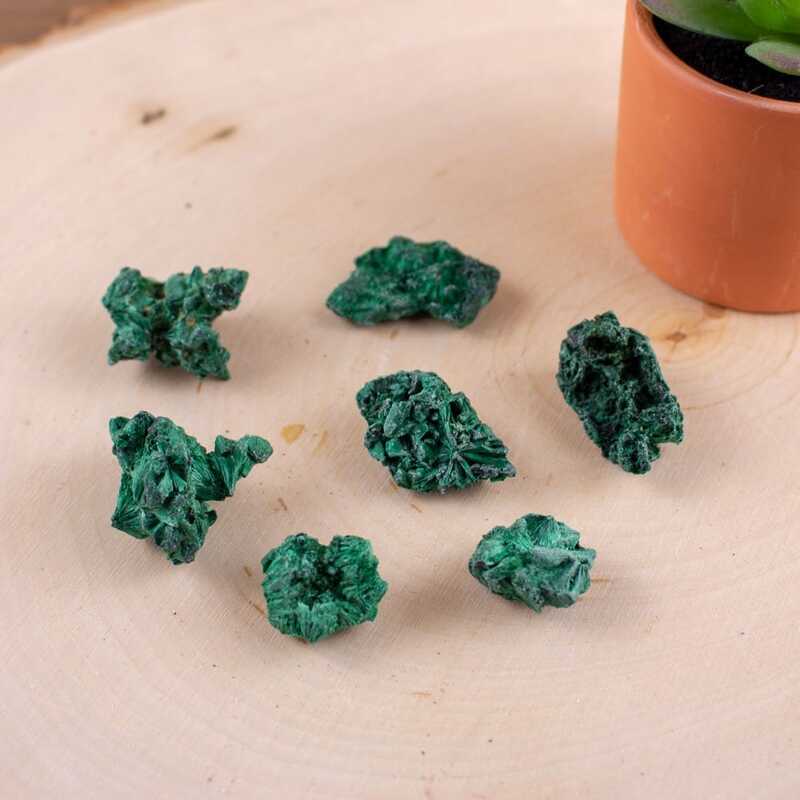 Malachite commonly occurs with Azurite and Chrysocolla grown within or on top. 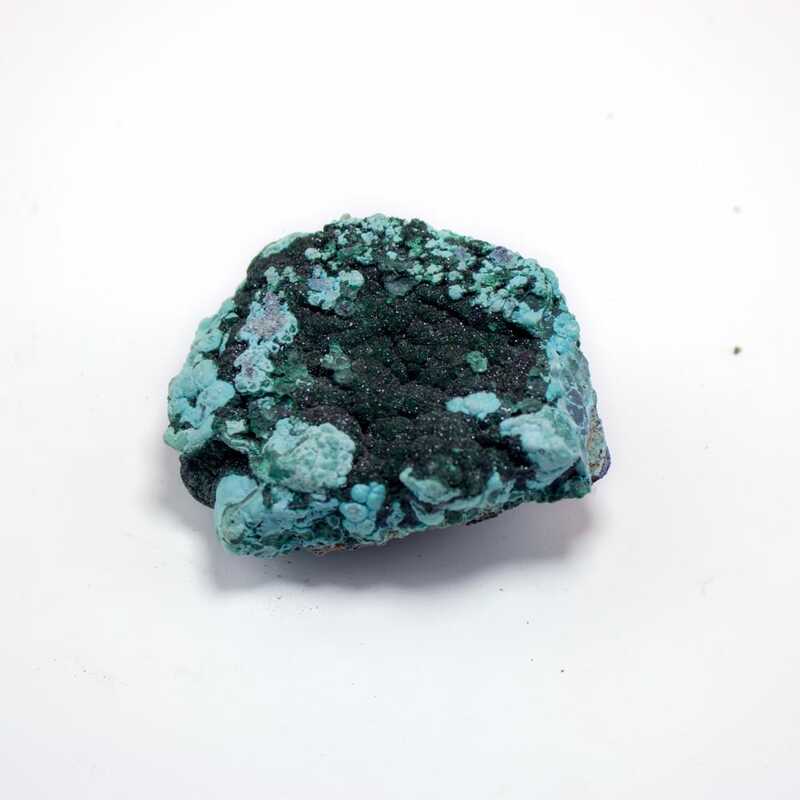 The rare Eilat stone is a combination of Malachite, Chrysocolla, and Turquoise. Malachite was believed to be used in ancient Egypt as early as 3000 B.C. for jewelry and ornaments. In the Middle Ages, Malachite was used for protection of the evil eye and as “medicine” for stomach ailments. Malachite is one of the most important minerals for protecting against negative energies. It fills our auric fields with positivity, while simultaneously pushing all the negativity outwards. 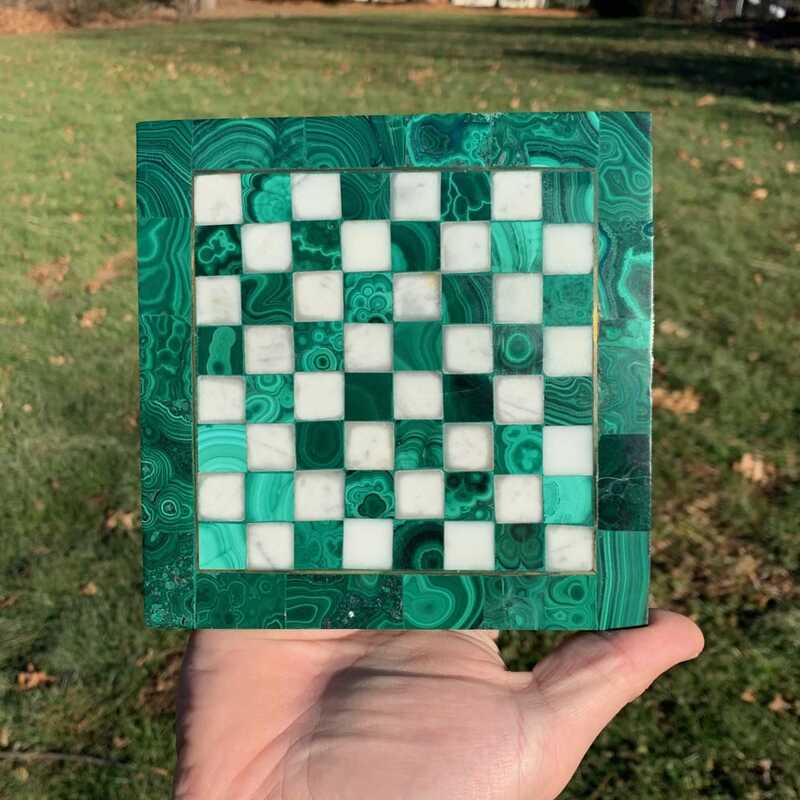 Malachite is known to create a “cloak of invisibility” around the user. This will remove you from certain confrontations and make you less susceptible to negative energies. This stone also helps with emotional balance, especially during times when people around you put their “baggage” on you. Malachite offers the willpower to confront and get past any emotional and physical blockage happening in your current life. Lastly, it helps people who lack self-confidence and self-responsibility. This powerful mineral assists in making progress on your spiritual journey and is a must-have for anyone who is constantly working on themselves. Malachite opens the heart and will allow for balance on all levels. Malachite harmonizes with any other copper-based minerals such as Azurite, Turquoise, Chrysocolla, Shattuckite, Ajoite, and many more. For additional protection, Tiger Eye and Jet work very well with Malachite. Morganite is a commonly used stone with Malachite when working on emotional balance and harmonizing the Heart. Malachite absorbs negative energy very easily but does not release it. 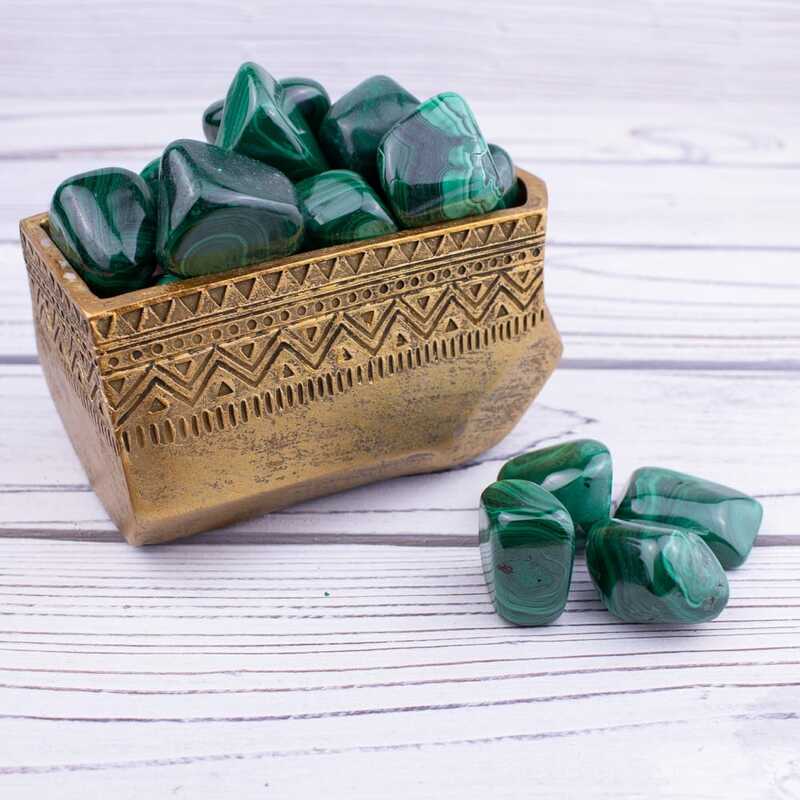 It's very important to constantly cleanse and clear your Malachite pieces, especially if you are someone who wears or carries them every day. Please refer yourself to our instructional guide on everything cleaning/cleansing!